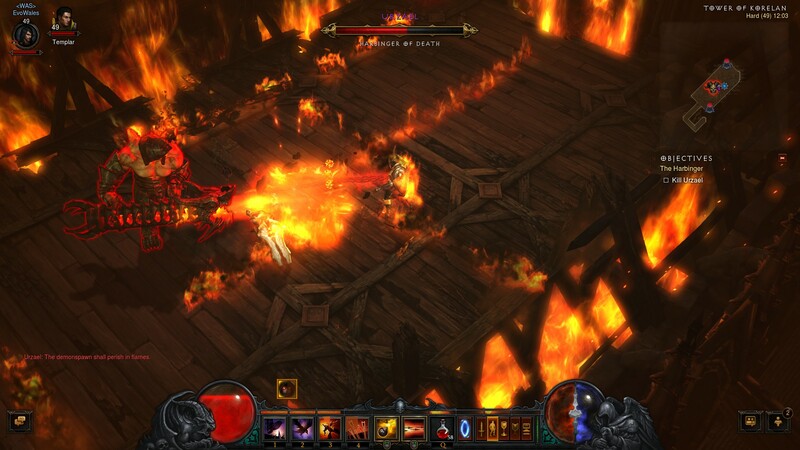 Diablo III was a game which I fell in love with in the beginning, I blasted through in decent fashion until I reached the gates of the High Heaven’s in Chapter IV and then I just kind of stopped playing. It was the promise of the Reaper of Souls expansion, the major patch which introduced loot 2.0 and the need to play something other than Football Manager that got me playing the game again. And so, after defeating the all-evil Diablo and starting out again in Act I with my Demon Hunter, I waited for Reaper of Souls to land. Once it arrived, I got on with the job of completing the all new fifth Act and exploring the new location of Westmarch. 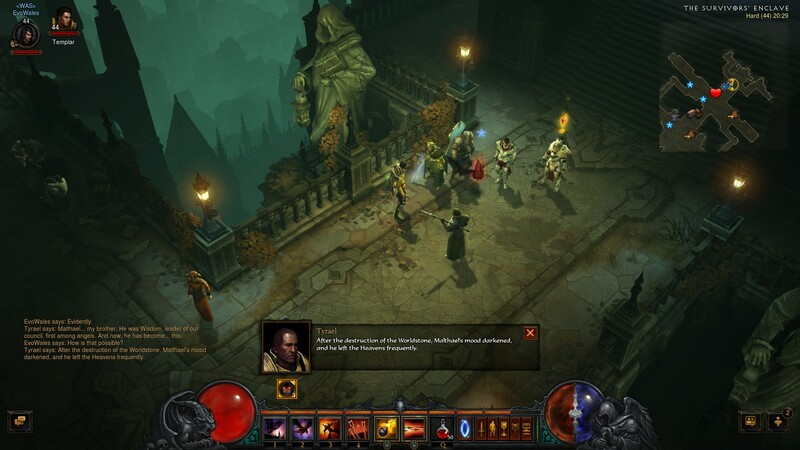 Having burnt myself out when originally playing Diablo III, I took care as I started Act V to take a bit more time to explore the world and appreciate the dungeon-crawler for what it is. A game that started brightly back in 2012 before growing stale thanks to unrefined loot mechanics and a couple of Acts which left me feeling a bit deflated but one that has now come full circle with to deliver a bombastic experience. The cut-scenes are as impressive as ever. Act V and the massive 2.0 update have resolved some of the issues that came to me after I finished my Verdict two years ago. I now feel like the game as a whole would have worked better if Act II was chopped away and Act V had been part of Diablo III at launch following on from the fall of Diablo. In short, Reaper of Souls (and patch 2.0) has turned the game into what it should have been from the start. That isn’t to say Diablo III by itself is a bad game, but if like me, you haven’t played it for a year or more, I would recommend you return to see how things play out since 2.0 before thinking about getting Reaper of Souls. While the expansion adds a hell of a lot to the core game, if you have grown tired of the dungeon crawling, you really will want to see if 2.0 has made the core gameplay more appealing. My first fear when I booted up Reaper of Souls was that my character was going to be back in Act I where I had started a new game in the vain attempt at reaching the Paragon levels. My fear was unfounded as I was immediately brought up to date and fought my way to the town of Westmarch. It was during the early stages of Act V that I first appreciated the music in the game. In the base game it kind of floatedover me, the music during the first half of Act V it really shines and adds a lot to the experience. Fire! Fire everywhere! Bosses eh? 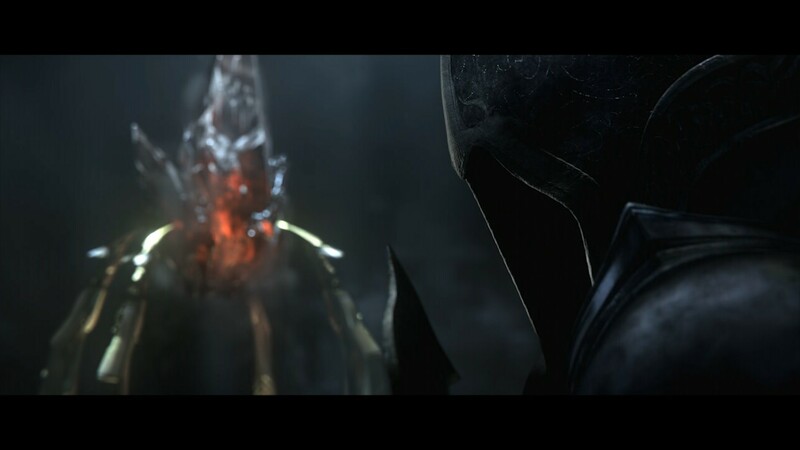 Soon after you arrive at the survivors encampment in Westmarch you learn more about the overarching story where the Angel of Death, Malthael has stolen the Black Soulstone in an evil attempt to destroy humanity. Your first mission though is to rid Westmarch of a lieutenant of Malthael and restore the town to its glory. The various locations set within Westmarch itself are some of my favourites to explore since New Tristram. The town is under siege from the forces of evil and as you explore a ruined battlefield you come across town guards vainly attempting to help you out. Within Westmarch itself there are some of the best dungeons of the whole game, they show how damaged the town has become with looters running wild, town guards needing support and a side story regarding King Rakkis and his successor. The dungeons and the events that trigger inside them might be brief, but they engaged me much more than any dungeons from Diablo III ever did. It is not just the dungeons that are more engaging, the tales of your followers have more depth and reach resolution of some sort when you are offered the chance to take part in one-off events with them. There is also a new Artisan who can transform the appearance of your weapons and armour, it might just be a small detail, but she has some enjoyable tales to tell and being able to trade in an ugly mask for an elegant helm without losing its properties is most definitely a good thing in my books. There are many people to talk to..including a shard of the Soulstone. Once you to leave Westmarch you find yourself soon moving towards the Pandemonium Fortress and your showdown with Malthael, on the way there you manage to wrap up another loose strand from Acts I-IV. The first half of Act V is the strongest, but even the tail end provided some very well crafted moments and challenging foes to take down. Though playing on Hard I did find the fight with Malthael fairly easy. I might have to turn the difficulty up again at some point. After defeating Malthael you are presented with Adventure Mode. Here you can jump between all five acts freely where you can either explore the surroundings on an ad-hoc basis, or you can take on Bounties. These set you to an area from an act with a mission to defeat a boss or clear out an entire dungeon of enemies. They are an enjoyable way of getting around the world, earning loot and levelling up and they certainly offer a more attractive way of reaching the higher levels than going back through the story again. I can see myself playing the co-operative side of the game in Adventure Mode as there is less pressure to keep in time with your friends through the story mode. Ultimately, I can only recommend Reaper of Souls if you are happy with the changes made with 2.0, if they leave you feeling that you don’t want to return to the game long-term, I don’t think Reaper of Souls will change your mind. However, if you are still enjoying the core gameplay of Diablo III, then I have to say that Reaper of Souls is a must buy. Act V resolves many story issues that were left unfinished, Adventure Mode adds a fresh layer to the end of game experience while there is a new class with the Crusader. If it wasn’t being priced at the same level as something like Dark Souls II I might endorse it more fully for those who have grown tried of the looting, but for those who haven’t grown tired, don’t be put off too much by the price. Platforms Available – PC (available now), PlayStation 4 and Xbox One (at a later date). Platform ReviewedPlease check this post for more on our scoring policy. Review based on code supplied by Blizzard.